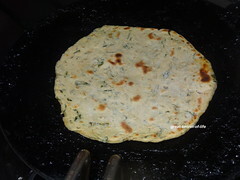 I love stuffed parathas. 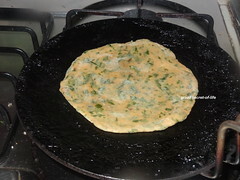 Esp right after my marriage I struggled to make soft chappathi /chapathi. 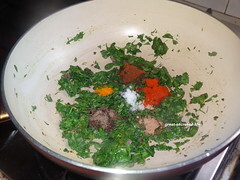 Making stuffed chapathi is one way to cover the flaws and it will not turn so hard esp if you make the dough with your stuffings. 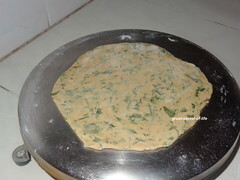 So I used to do stuffed chapathi more often. 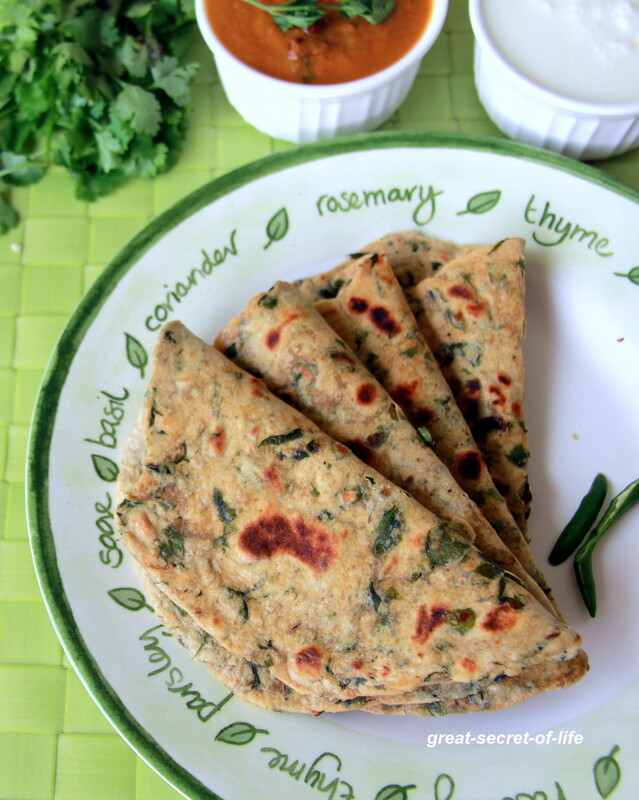 I am surprised I didn't post methi chapathi / paratha for this long. 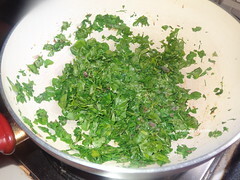 Add Fresh fenugreek leaves and fry for 2 mins. 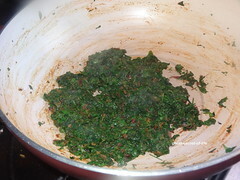 Take Atta in broader vessel add fried fenugreek leaves and water. 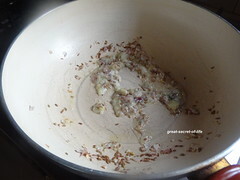 Add water in smaller qty. 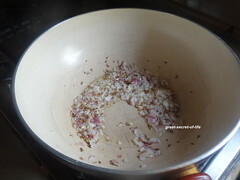 Make it smooth dough. 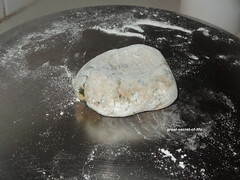 If the dough is sticky add more atta. 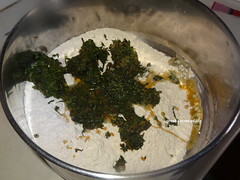 keep the dough aside for 15-20 minutes covered with a kitchen towel. 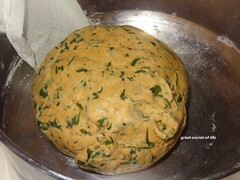 now make medium sized balls from the dough.Roll each ball thinly into flat discs. 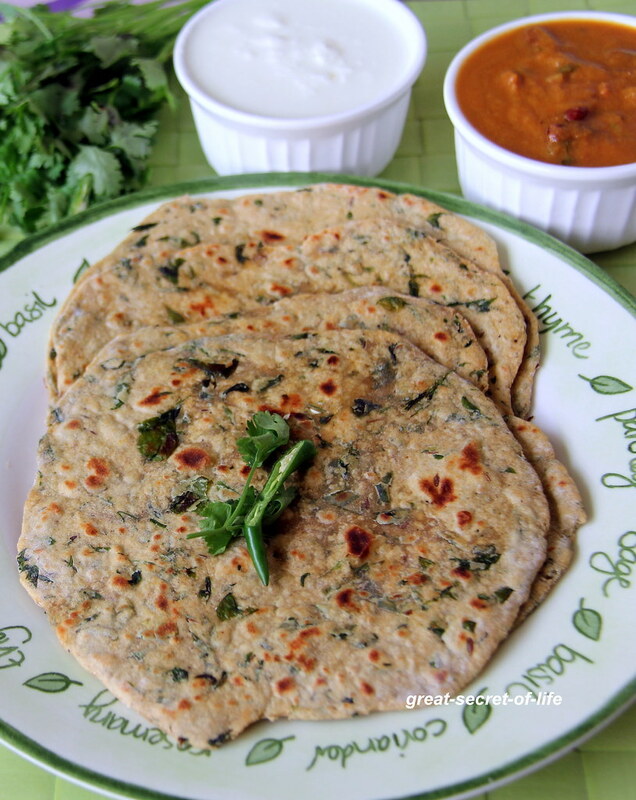 Yeah parathas will turn soft in spite of how we knead the dough.Healthy paratha veena. 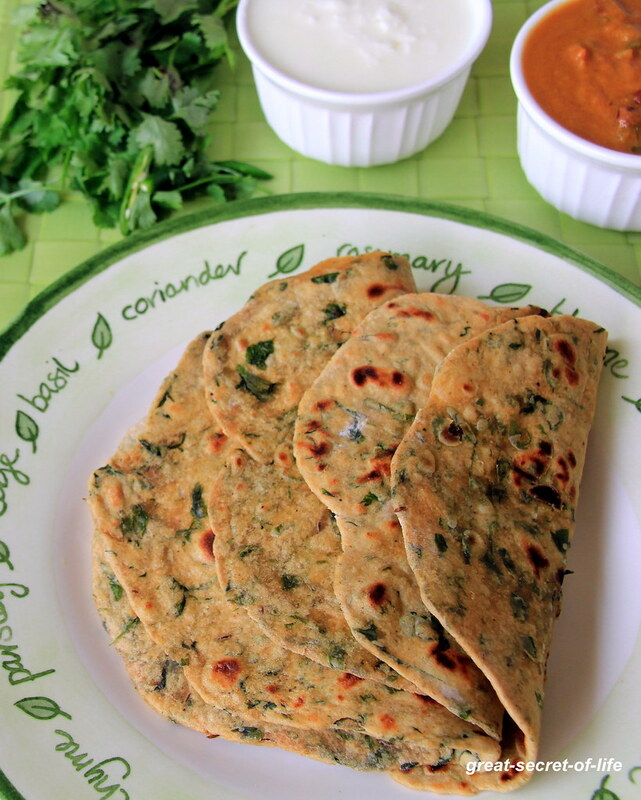 Very healthy and delicious paratha!